Consumption and Everyday Life. Second Edition. With an emphasis on everyday life, this respected text offers a lively and perceptive account of the key theories and ideas which dominate the field of consumption and consumer culture. Engaging case studies describe forms of consumption familiar to the student, provide some historical context, and illustrate how a range of theoretical perspectives – from theories of practice, to semiotics, to psychoanalysis – apply. Written by an experienced teacher, the book offers a comprehensive grounding drawing on the literature in sociology, geography, cultural studies, and anthropology. This new revised and expanded edition includes more extended discussion of gender, the senses, sustainability, globalization, and the environment, as well as a brand new chapter on the ethics of consumption. 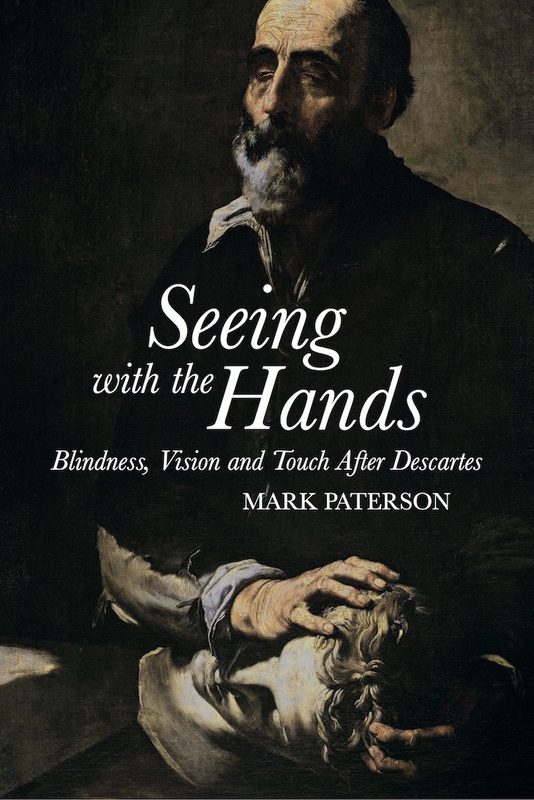 Seeing With the Hands: Blindness, Vision & Touch After Descartes. The “man born blind restored to light” was one of two foundational myths of the Enlightenment, according to Foucault. With ophthalmic surgery in its infancy, the fascination with blindness and what the blind ‘see’ once their vision is restored remained largely hypothetical. Was being blind, as Descartes once remarked, like ‘seeing with the hands’? Did evidence from early ophthalmic surgery resolve debates about the relationship between vision and touch in the newly sighted? Has the standard representation of blind figures in literature been modified by recent autobiographical accounts of blind and vision impaired writers and poets? As this book shows, much interest in the philosophy and psychology of blindness was prompted by the so-called ‘Molyneux Question’ which Irish scientist Molyneux asked of English philosopher Locke in 1688. The question concerns ‘sensory substitution’, the translation between vision and touch, which would effect practical outcomes for the blind, including the development of Braille, the first school for the blind in Paris, and even present day Tactile-Visual Sensory Substitution (TVSS) technologies. 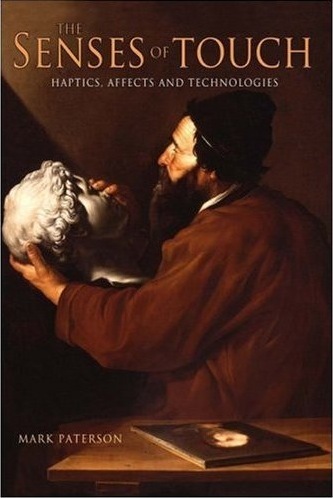 Through an unfolding historical, philosophical, and literary narrative that encompasses Locke, Molyneux, and Berkeley in Britain, and Diderot, Voltaire, and Buffon in France, this book explores how the Molyneux Question and its aftermath has influenced attitudes towards blindness by the sighted, and technologies for the blind and vision impaired, to this day. Paterson surveys the long and checkered history of the Hypothetical Blind Man from Enlightenment philosophy to contemporary cognitive science. Both lucid and comprehensive, his account takes the fresh approach to set these traditional representations against the testimony of actual blind people, creating a more nuanced and complex understanding of blindness. Touching Space, Placing Touch. Co-edited with Martin Dodge. Encouragingly, the neglect of touch is beginning to change as part of wider conceptual developments in the social sciences. Firstly, this involves a “return to the senses” (Howes 2003) social theory, a recent wave of ‘sensuous scholarship’ that consolidates work by anthropologists such as Classen, Howes, and Stoller in the early 1990s (exemplified in books by Law 2001; Geurts 2002; Bull and Back 2003; Drobnick 2006; Paterson 2007). Secondly, there is the more recent interest within the social sciences with the affective aspects of everyday spaces and performance, focusing on the sensual, the affective, and the non-representational (e.g. Bennett 2001; Thrift 2007). Much of this work moves beyond representational (visual and textual) readings of place and environment to an interpretative emphasis on emotive states and embodied practices. However, the so-called ‘affective turn’ has so far underplayed the socio-cultural complexity that regulates touch in different places – the conventions of when, where and with whom one can touch. How are these conventions policed? To what degree are places of touch gendered, and how does age, culture or ability become associated with touch? Edited collections, as we know, vary in quality and usefulness. However, this book has a uniformly high standard of scholarly excellence; each of the essays is well supported by an intellectual rigor and provides a key resource in recording the most important sources, giving us an intellectual history of touch, if you like… What makes this collection such a success is its creativity. In providing us with a fizzling encyclopedia of touch it reinvigorated my perception of what it is to research. The Senses of Touch: Haptics, Affects and Technologies. Touch is the first sense to develop in the womb, yet often it is overlooked. 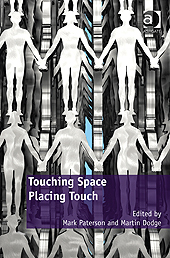 The Senses of Touch examines the role of touching and feeling as part of the fabric of everyday, embodied experience. How can we think about touch? Problems of touch and tactility run as a continuous thread in philosophy, psychology, medical writing and representations in art, from Ancient Greece to the present day. Picking through some of these threads, the book ‘feels’ its way towards writing and thinking about touch as both sensory and affective experience. Taking a broadly phenomenological framework that traces the tactility from Aristotle through the Enlightenment to the present day, it examines the role of touch across a range of experiences including aesthetics, digital design, visual impairment and touch therapies. The Senses of Touch thereby demonstrates the varieties of sensory experience, and explores the diverse range of our ‘senses’ of touch. These debates are augmented by original empirical work within the new, emerging technologies of touch, such as the human-computer interface (HCI), digital design, and even controllers for computers and videogame consoles. Thus tactility is increasingly ubiquitous, and haptics can be seen as the engineering of feelings and sensations – for design, entertainment or industry alike. Consumption and Everyday Life, ‘The New Sociology’ Series. Written with a general undergraduate social science and humanities audience in mind, this book introduces key ideas and theorists of consumption in an accessible way. 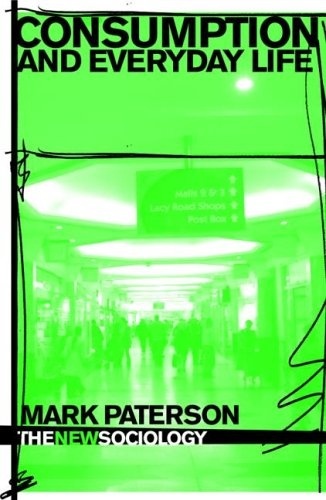 Drawing on theories of everyday life, embodiment, the semiotics of advertising, and aspects of sociology and cultural geography, this is an engaging and comprehensible exploration of key themes in consumption and consumer culture. The use of readily accessible case studies, describing familiar acts of consumption from areas of everyday life, grounds the debates and ideas discussed. These ideas include the semiotics of branding and advertising, the representations of ‘nature’ and the environment, the relations between consumer and producer, ethical consumption, and the tensions between local spaces of consumption and globalised markets. What I like most is the way that concepts are introduced so that the reader can immediately recognize their relevance and application. Once introduced, those concepts are allowed space to breathe and develop so that by the end of each chapter the reader feels reassured in their application to a broader spectrum of issues related to everyday life.